We’re a specialist industry super fund dedicated to people who provide some of the best health and community services in the world. With more than 840,000 members and $43 billion invested globally on their behalf, we’ve learned a thing or two about looking after our members. 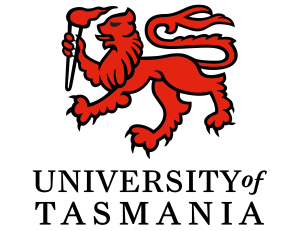 As the University of Tasmania we are the only university in the state and as such, we benefit from close links with our community, our health system and our health professionals. It’s through these close links that we have built a lasting reputation in health professional education and translational research with a local, national and global impact. ACEM is the not-for-profit organisation responsible for training emergency physicians and advancement of professional standards in emergency medicine in Australia and New Zealand. The College of Emergency Nursing Australasia (CENA) is the peak professional association representing emergency nurses. CENA represents approximately 1200 nurses nationally and internationally. There are large numbers of nurses working in emergency and many more in circumstances which see them providing emergency care to patients outside of emergency departments. This includes nurses working in small regional and rural hospitals, health care centres and flight nurses. MDA National is a doctor owned mutual that supports, protects and promotes more than 50,000* Members and insureds with extensive professional indemnity insurance. More than medical indemnity, MDA National provides Members with accredited education, personalised service, 24-hour medico-legal support in emergencies, and extensive Member benefits. Paramedics Australasia (PA) is the peak professional organisation representing practitioners who provide paramedic services to the community. Paramedics are best known for their involvement in the delivery of out-of-hospital emergency medical care through their work with various ambulance service organisations and on humanitarian and relief operations. However, paramedics work in many environments including community, industrial, military, hospital and university settings. Paramedics Australasia provides a respected voice in determining how changes in health service provision, legislation and clinical practice are shaped and implemented to enhance the quality of patient care. We do this by representing the interests of practitioners on a number of matter relating to; health policies, training standards, funding and services, research into emergency care, and communications with allied health professionals. Therapeutic Guidelines Ltd (TGL) is an independent not-for-profit organisation, intellectually and financially independent of government and pharmaceutical industry. For over 40 years, Therapeutic Guidelines have provided clear, concise and evidence-based recommendations for patient management, developed by Australia’s leading experts. TGL ensures its guidelines are free of financial and academic conflicts of interest. Discover a rewarding healthcare role and learn more about the benefits, lifestyle and opportunities by visiting Defence Force Recruiting at the Emergency Tasmania Conference. 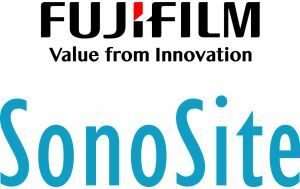 FUJIFILM SonoSite, Inc. is the innovator and world leader in bedside and point-of-care ultrasound, and an industry leader in ultra high-frequency micro-ultrasound technology. SonoSite’s portable, compact systems are expanding the use of ultrasound across the clinical spectrum by cost-effectively bringing high-performance ultrasound to the point of patient care.